Hon. Secretary, the Club House. ------------Golf Club, will never fail to bring all requisite information and guidance. All over the world, too, courses are springing up, and the United States claims one of our best golfers as an inhabitant and player-namely, Miss Dorothy Campbell. The ball must be fairly struck at, not pushed, scraped, nor spooned; it must be played wherever it lies, or the hole be given up, except as otherwise provided for in the rules. On the tee the winner of the previous hole strikes off first; afterwards the ball farther from the hole shall be played first. Any loose impediment - i.e., sticks, stones, dung, wormcasts - within a club's length of the ball. 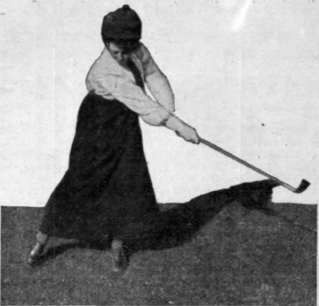 and not in or touching a hazard, may be removed without penalty; but before striking at a ball in play a player shall not move, bend, nor break anything fixed or growing except so far as is necessary to enable her fairly to take her stance in addressing the ball, or in making her backward or forward swing. If a ball cannot be found after five minutes' search, except in water or out of bounds-i.e., a forbidden area outside the course-the player shall lose the hole. When a ball lies in or touches a hazard-i.e., any bunker, sand, path, road, ditch, bush, or bushes-the club shall not touch the ground in addressing the ball, nor shall anything be touched or moved before the player strikes at the ball; except that the player may place her feet firmly on the ground for the purpose of taking her stance and in addressing the ball, or in the backward and forward, any growing substance or immovable obstacle may be touched by the club. If a ball lie or be lost in a water hazard, the player may drop a ball under penalty of one stroke behind the spot where the ball entered the hazard. A ball is dropped by the player over her shoulder, and she must stand erect and face the hole. If a ball lie or be lost in casual water through the green, the player may drop a ball without penalty within two clubs' length of the nearest margin, but not nearer the hole. A similar rule applies with casual water on a putting green, only in addition the ball may be placed not nearer the hole so that the player has a clear putt to the hole without water intervening. From casual water in a hazard, the ball may be dropped with loss of one stroke. Any loose impediment may be lifted from the putting green-i.e., all ground, excepting hazards, within twenty yards of the hole, whether mown grass or not-irrespective of the position of the player's ball. Therefore, leaves, twigs, and the like must be lifted in the fingers. Dung, wormcasts, snow, and ice may, however, be lightly scraped aside with a club. The line of the putt must not be touched, except by placing the club immediately in front of the ball in the act of addressing it, subject to the above directions. When the balls lie within six inches of each other on the putting green-the distance to be measured from their nearest points-the ball nearer the hole may be lifted and replaced after the farther ball has been played. 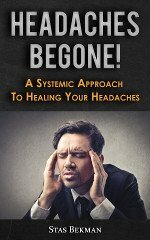 If the player's ball knock the opponent's ball into the hole, the opponent shall be deemed to have holed out at her previous stroke. Such are the main points of the rules of golf, and whilst curious points sometimes arise, baffling the best-informed, anyone can master the essential principles, and it is their undoubted business to do so. Golf involves four duties-to keep one's eye on the ball, to keep one's temper, to keep the score, and to keep the rules; and she who can perform all four has accomplished something beyond the actual result of hitting a ball into a hole in fewer strokes than her opponent. As was pointed out in the previous article on this subject, it is impossible to lay too much stress upon the importance of observing strictly the etiquette of the game. Players have to consider not only their own but the comfort and convenience of the parties playing' in front of them and behind.